Location: The project is in SE Primorsky Krai in the Lazo area, which includes Lazovsky Zapovednik (State Nature Reserve), the nearby Zov Tigra National Park, and a privately-managed hunting lease located between LZ and ZT.  Goal: ZSL works with Lazovsky Zapovednik (LZ), in collaboration with Phoenix Fund and WCS, and more recently in Zov Tigra (ZT) to develop a holistic programme that integrates anti-poaching management with tiger monitoring. Background: One of the largest cats in the world, the Amur tiger is found primarily in the Russian Far East, although a few may range across the borders into China and North Korea. Prey density is naturally low in Russia, meaning Amur tigers need very large home ranges (up to 200 – 450 km2 for females and over 1000 km2 for males). Lazovsky Zapovednik (LZ) and the adjacent Zov Tigra (ZT) National Park, which in 2014 were merged to create the United Lazovsky State Nature Zapovednik and Zov Tigra National Park, form a cluster of federally protected areas that are key habitat for Amur tigers; LZ is considered a core Amur tiger breeding area, with 1-3 litters recorded annually. LZ and ZT are linked by privately managed hunting leases and several small villages, so tigers moving between them are vulnerable to human activities. Stable tiger numbers in ZT, at the level of a 2013 increase, demonstrable due to ZSL’s extensive tiger monitoring programme. Successful monitoring of tigers in the hunting area between LZ and ZT, which has provided evidence of resident tigers. Successful implementation and growth of the Forest Eyes Initiative, which uses Instant Wild camera traps to detect intruders and which has led directly to increased arrests of trespassers into LZ. First ever verification of the geographical source of poached tigers, using images from the project’s tiger photo database, leading to the strengthening of illegal hunting laws. Completion and opening of the Wildlife Health Laboratory at the Primorski State Academy of Agriculture (PSAA) in Ussuriysk, which is making a substantial contribution to building wildlife health capacity in Eastern Russia.